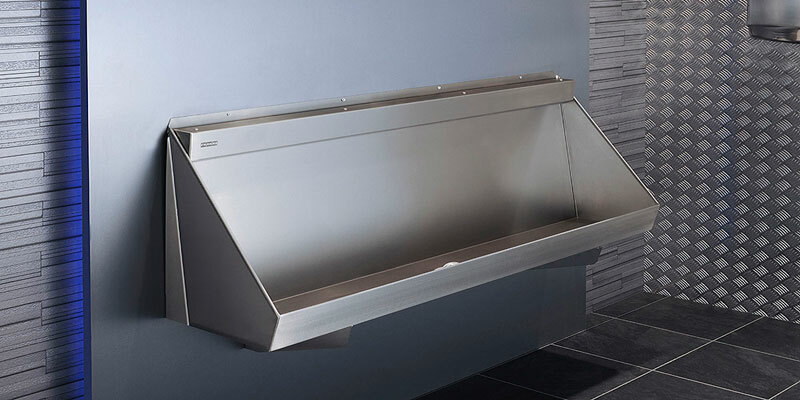 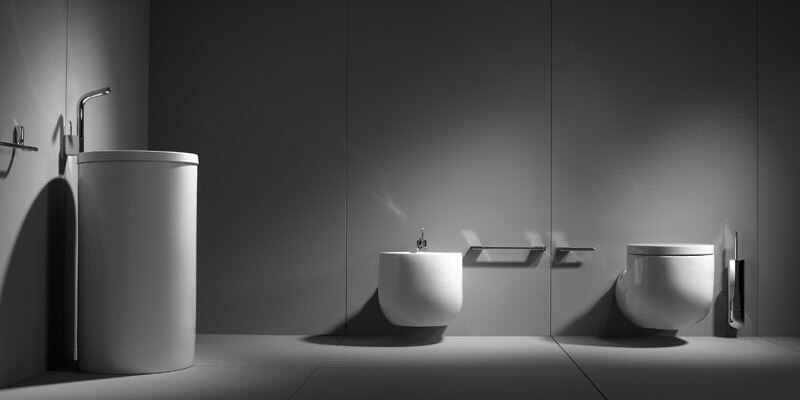 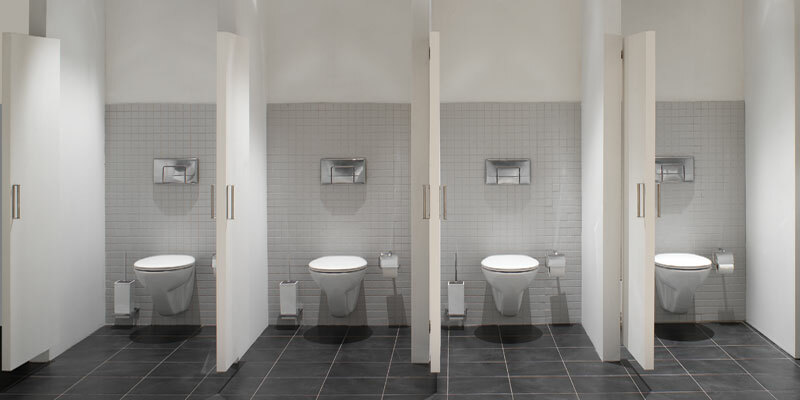 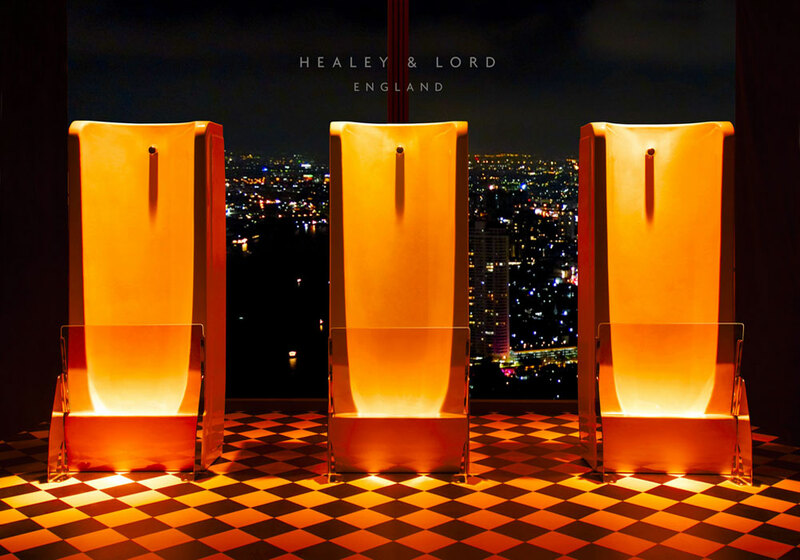 The Healey & Lord Niagara floor standing urinals can be installed as individual stall urinals to give a striking appearance to any washroom whether traditional or contemporary. 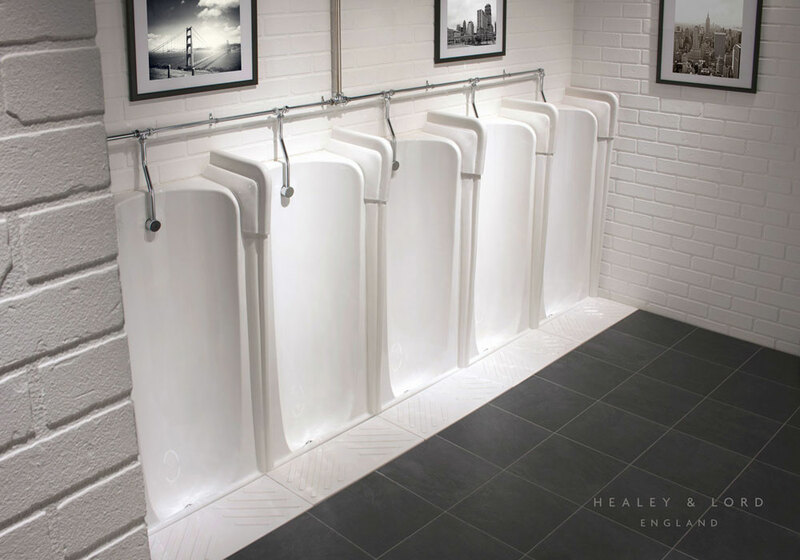 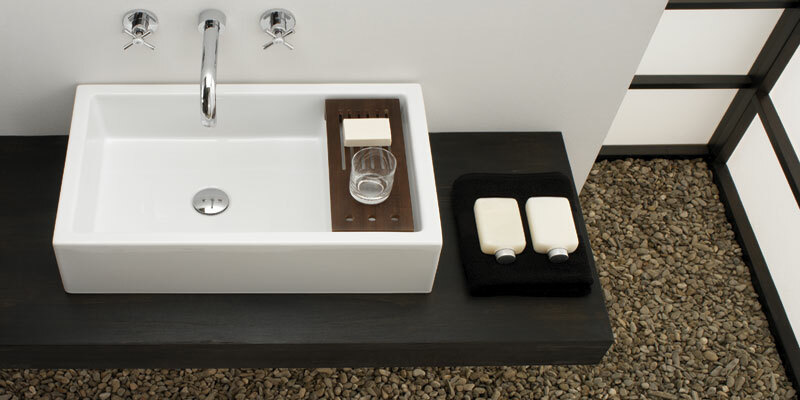 Alternatively for a true old school look they can be fused together in a row with the top & vertical joins with options such as the ceramic tread-plates to give it a finish in keeping with traditional styling. 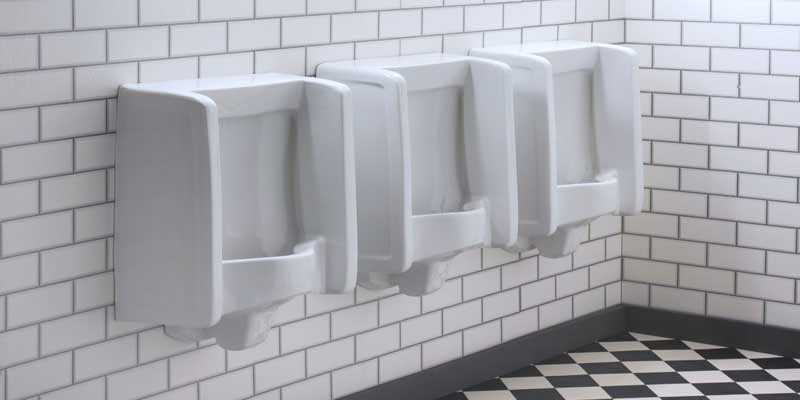 We recommend the installation of a splash guard with floor standing urinals, there are two versions. 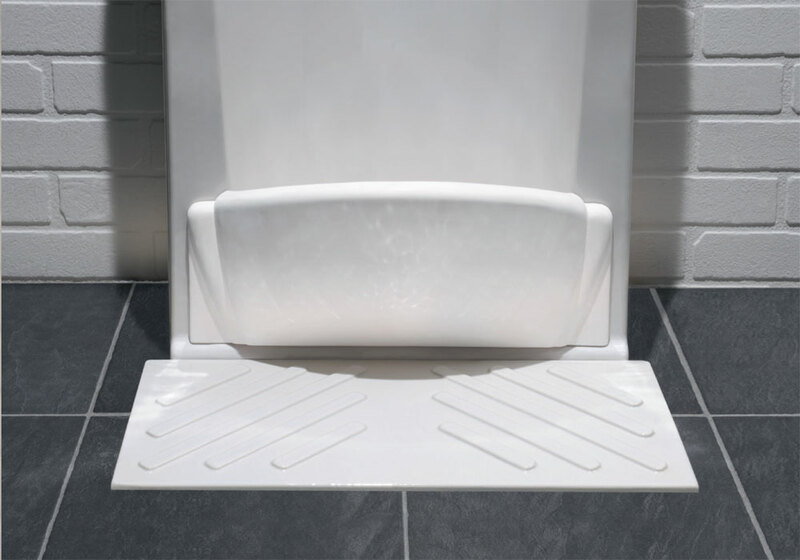 The white Art Deco Splash Guard (pictured underneath the main picture) this can be easily fitted to Niagara urinals or the taller Niagara Glass Splash Guard shown in the main picture. 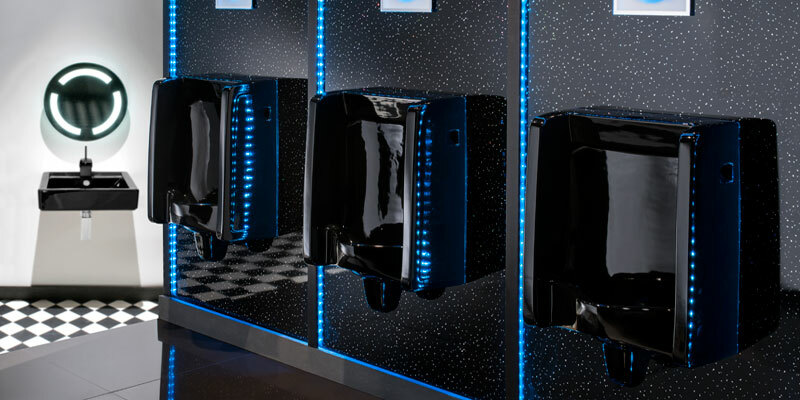 Niagara floor standing urinals are stocked in the United Kingdom and shipped across the globe to those who have a requirement.